Dynamic collaboration between members of a team is impossible without self-management. Self-management plays an increasingly important role also in society. Civic Movements are good examples of efficient groups without proclaimed leadership. Companies, too, increasingly tend to strive towards self-organization which, ultimately, is based on self-management. For them, decisions have to fall faster and faster, and the classic hierarchy makes that difficult. Flanders Business School teacher Jan De Visch and Interdevelopmentals Institute Director Otto Laske observe in their consultancy practice from the front row how organizations struggle with establishing self-management. This Spring, they are presenting how they view team issues in “Dynamic Collaboration: Strengthening Self-Organization and Collaborative Intelligence in Teams”. 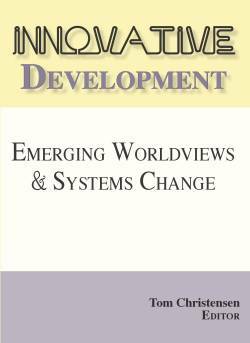 The book weaves insights from adult developmental research into the true stories of four senior managers engaged with implementing self-organization. This article highlights some of their insights by way of an example of work in a customer contact center. A “Rethinking Team Work” workshop by Jan and Otto has come to its end. The participating team coaches of a customer contact center are satisfied. They solved two issues which had an ongoing negative influence on collaborative relationships they are dealing with daily. Over the last two years, the customer contact center changed its procedures fundamentally. When exploring how their department could be transformed into a network of self-organizing teams, the 85 collaborators were both enthusiastic and sceptical. Every one had his/her own specialization, tasks were assigned almost hourly by team leaders, and the communication with other departments occurred by way of a command-chain hierarchy. The company had invested in an internet tool enabling customers to find most answers to their questions on line, as well as book appointments. As a result, the work in the contact center changed dramatically. Each contact center member received more complex client questions, questions previously dealt with by a team leader. These questions were unanswerable from the point of view of a single specialization. As a consequence, team members had no choice other than to work together to merge their insights and expertises. Chatbots began to process recurrent ‘simple’ questions, and by using artificial intelligence one learned to predict which clients would break off their agreement. This, in turn, had an impact on the percentage of calls that turned into client contracts. Now, every team member had to proactively follow-up client calls him- or herself. Working with indicators turned out to be difficult since it had previously been considered as a matter of the team lead role which had vanished. As a consequence, every team member felt challenged in understanding his/her own work situation. It turned out that a high number of break-off’s were due to poor follow-up by and between co-workers. In this context, self-organization not only meant building agility but engaging in continuous improvement projects. Issues such as these are viewed in Jan’s and Otto’s book as grounded in lack of personal self-organization due to insufficiently high developmental level, essentially of emotional other-dependence and/or lack of complex thinking. The authors distinguish three levels of collaborative intelligence called ‘We-Spaces’, each of the which is characteristized by its peculiar socio-cognitive structure in the sense of CDF, the Constructive Developmental Framework. Within ‘We-Spaces’, the authors further distinguish ‘upwardly’ and ‘downwardly’ divided teams, a distinction that facilitates a reader’s understanding of why certain teams lack self-organization and how to intervene in such an instance. For the longest time, teams have been managed based exclusively on behaviorist tenets: the dominant notion has been that by observing how team members behave, their collaboration can be made more effective, even self authoring. To make the transition to self-management easier, companies made investments in training communication, planning and technical skills, and in building a common vision of what self-organization entails for different teams. This approach assumed that much of a contact center member’s workday is spent asking others for information – requesting status updates or inquiring with an internal colleague in another department. The ‘Re-thinking Team Work’ workshop Jan and Otto taught addressed such situations. It was geared to teaching team coaches ask a different set of questions that revealed what they had not (yet) thought about. The questions asked of participants were based on DTF, Laske’s Dialectical Thinking Framework. They were meant to help team members unlock insight into relevant contexts, emerging changes, and hidden relationships. Beyond that, the questions were geared to upsetting the assumption that one’s own present way of conceiving of one’s work is stable and cohesive, and therefore had to be defended against constant change including critical thinking. The cognitive prompts and questions brought into play enabled workshop participants to enhance the quality of their dialogue. They were helped with exploring issues from different vantage points and opening up their universe of discourse to seeing a larger number of options, and consequently preparing themselves for making better choices and decisions. As a result of this workshop, team coaches began to review the way in which employees evaluated recorded conversations with clients. They were used to focusing on a series of behavioral indicators, such as clarity of response or extent of responding to dissatisfied customers empathically. Once a cognitively grounded evaluation checklist was introduced, both quality scores and call-to-contract conversion ratios decreased. Although the questionnaire employed allowed good behavioral screening, it did not take into account the ability to become aware of, and handle, issues arising within the broader work context, such as questions coming from customers, or the need to streamline information flow across departments. The benefit of the Rethinking Workshop was that team coaches began to understand that employees’ questions and answers are context-dependent and that, therefore, their self-assessments would have to change as a function of how much of their work context they conceptually understood. In their book, Jan and Otto conclude from their experience with teams that team leaders (and most managers) speak rather than listen, and if they listen, listen only to the content of what team members are saying, — rather than to the structure of team members’ thinking, as well as their own, on which speaking is based. What is more, team functioning has so far been addressed only in terms of purely logical thinking that turns whatever it encounters into an inert object (rather than acknowledging it as a living entity in transformation). In short, companies largely lack a dialogical culture. The authors show how to enhance quality of dialogue rather than merely behavioral cooperation by focusing on the use of thought forms in team dialog. They address this topic by strengthening employees’ ability to observe the internal dialog on which their own thinking is based, which serves as the foundation of dialog with others. It is in this context that what the authors call ‘We-Spaces’ comes into play. In the developmentally lowest type of We-Space, where the focus of work lies in continuous improvement, quality dialog sounds very different from that in the next-higher We-Space where team members work on rethinking value streams. (Often, the latter We-Space is reduced to the former, with disastrous results). The nature of discourse again shifts to higher quality requirements when, as in the third We-Space, transitioning to a different business model is in focus. Each of the three We-Spaces demands a different set of thinking structures (thought forms) to guarantee quality dialogue and build collaborative intelligence, and these structures are largely a function of team members’ present level of cognitive development. This finding becomes easier to understand when viewing dialog from the vantage point of DTF, Laske’s Dialectical Thought Form Framework. Following R. Bhaskar, the framework distinguishes four ‘moments of dialectic’ commensurate with perspectives taken on the real world (Context, Process, Relationship, and Transformation; CPRT). While dialog quality in an continuous improvement space can be scaled up by bringing into play context and process thinking, mentally engaging with relationship thought forms becomes essential in rethinking operational processes and work flows across different organizational departments. When approaching business model transformation, dialogs that lack transformational thought forms literally “fall flat”. Another issue in improving collaborative team intelligence arises from the structural composition of teams. Simply put: especially in cross-functional teams, team members co-operate from (often greatly) different socio-cognitive levels. This in itself is the cause of many team failures. For instance, coaches in the customer contact center noticed that two of the seven teams continuously narrowed the complexity span of their assignment, for several reasons. First, employees in these teams, aside from being unaware of their present cognitive profile and stance, were busy protecting what they had come to see as ‘natural’ in the past. Uncommitted to knowledge transfer, they were inflexible and unable to meet their responsibilities. De Visch and Laske show that each of these employee groups constitutes to a developmentally mixed team, which for them is a major cause of potential failure. In developmentally mixed teams, it easily occurs that a minority of less developed team members succeeds in blocking change, both of self and ways of working. The authors describe this situation as characteristic of a downwardly divided dynamic (in contract to an upwardly divided dynamic where team members literally go for the extra mile). To deal with this team situation, they propose an operating model in which senior managers create an enabling environment geared to fostering upwardly divided dynamics in teams that are grounded in DTF-based strategies. Following Boyd & Laske (2017), the authors develop a training policy that is based on the distinction of zones of proximal development in the sense of Vygotsky. 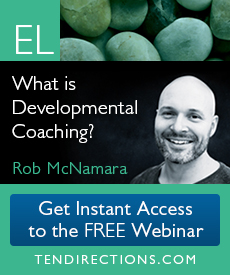 Assuming such zones helps distinguish the amount of coaching assistance employees with different developmental resources (within a single We-Space) need to get their work done. The four zones assumed in the book differ in the employees’ level of both comportment and thinking, and range from ‘no assistance needed’ to ‘hopeless even with assistance’. The authors of this book write from the vantage point that behavior is only one out of three dimensions relevant in team functioning. Behavior has to be linked to developmentall findings of a socio-cognitive nature. In the cognitive team dimension, they assume zones differentiated by breadth versus depth of thinking, — dimensions lacking in traditional competence schemes. They show that distinguishing cognitive zones is helpful in recruitment as well as for determining whether a new candidate will integrate smoothly into a team, not to speak of understanding how teams develop, succeed or fail. In this context, they demonstrate the stark limitations of purely logical, in contrast to holistic and systemic, thinking in and about teams. They speak of ‘deep’ or ‘transformational’ thinking team leaders so far have no inkling of. In so doing, they open up a much broader realm in which teams can be supported, not only in what they actually do, but also in what they have the potential to understand about themselves. 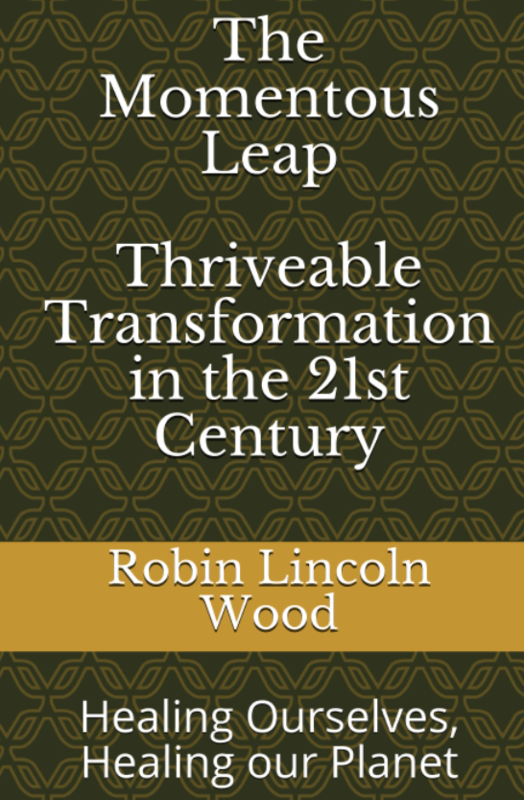 The book shows how, once all three dimensions (social-emotional, cognitive, and behavioral) are pulled together in team coaching, coaches who direct teams themselves naturally transform: they become listeners first and speakers second, a step by which they re-make themselves as reflective practitioners. Fortunately, under conditions of distributed leadership, this is easier to accomplish than in hierarchically organized command chains, since as part of the latter managers are bereft of the option to question their role and investigate the relationship between self and role (i.e., their accountability). The book entitled “Dynamic Collaboration” is a treasure chest of concrete tools for facilitating self-management in- and outside of teams. The rule of thumb is: it need not take an extraordinary effort to become self-managing if you can think through the behavioral, emotional, and thinking choices you make in their combination. For example, there is little point in introducing scrum meetings without studying how and to what degree team members preserve self-cohesion and coherence with the team, defend obstinate and opaque self concepts, or are unable or unwilling to create transparency regarding their role. In organizational work, these occurrences abound; many self-managing teams lack relationship thinking. Consequently, when team leaders fall back on hierarchy thinking in order to advance a team’s goal, team members lose confidence in their ability to adopt new ways of working together, and companies pay a high price for such regression. Jan and Otto show in “Dynamic Collaboration” the central organizational value of quality dialog for un-burying team potential. To this end, they combine descriptive and reflective passages with conversations in the board room. The book gives many examples of how Lucy, Bart, Roger, and Emy handle difficulties and opportunities in their teams on account of mastering the three dimensions of team functioning outlined throughout the book. Tables and figures succinctly summarize complex insights and clarify guidelines for pertinent managerial action “on the spot”. Readers can obtain the book in early June by writing to jan@connecttransform.be. 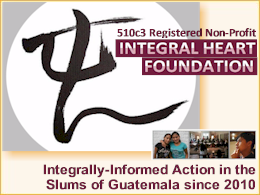 An introduction to the book has been posted at http://www.interdevelopmentals.org/?p=5135. Boyd, G. & Laske, O. (2017). Human Developmental Processes as Key to Creating Impactful Leadership. In: Chatwani, N (2018). Distributed Leadership. The dynamics of balancing leadership with followership. Palmgrave McMillan. Laske, O. (2015). Dialectical Thinking for Integral Leaders: A Primer. https://www.amazon.com/Dialectical-Thinking-Integral-Leaders-Primer-ebook/dp/B012P177IY/ref=asap_bc?ie=UTF8. 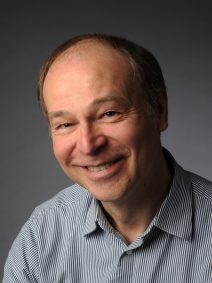 Otto Laske is the founder and director of the Interdevelopmental Institute (IDM; www.interdevelopmentals.org). Through studies in human development at the Harvard Kohlberg School and training for a Psy.D. at William James College, Newton, MA, in the 1990’s, Otto amplified his 1966 Dr. phil. degree obtained from the Frankfurt School, with Th.W. Adorno as his main teacher. In 1998-2000, his epistemological interest, coupled with his interest in organizations as ‘thinking entities’, made him establish CDF, the Constructive Developmental Framework. Otto is known as teacher of a generation of developmental practitioners who studied with him between 2002-2012, especially on account of his refining Kegan’s work and putting in place DTF, the Dialectical Thought Form Framework. CDF realizes a tripartite, platonic, take on human consciousness. 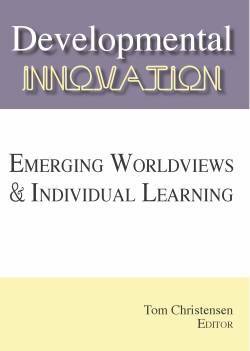 It focuses on the interrelationship of its appetitive (Need/Press, H. Murray)), spirited (social-emotional; R. Kegan), and cognitive dimensions (M. Basseches; R. Bhaskar; E. Jaques) to escape the narrow interpretation of human development now often advanced. Jan De Visch is managing director of Connect & Transform (www.connecttransform.be) . He is an experienced senior executive, both on a strategic and an operational level, with a strong track record in organization (re)design and human capital management, developing, driving and executing complex change management and turn-around projects. He facilitates complex change processes and co-creates collaborative intelligence. As Executive Professor at Flanders Business School (Catholic University of Leuven) he works on the alignment of business model shifts, redesigning value streams, accountability design, and the creation of deliberatly developmental processes. His current research is mainly focused on understanding the creation of fluid organizations, rebalancing hierarchy and self-organization. He has international experience as board of directors member of several companies. His years of consulting experience covers a broad range of industries from financial services, construction, government, consumer lifestyle, chemical, healthcare, utilities, energy, and telecom, working in Europe and the US. He is author of the book ‘The Vertical Dimension. Blueprint to Align Business and Talent Development’ (2010), Leadership: Mind(s) Creating Value(s) (2014), and ‘Dynamic Collaboration. Strenghtening Self-Organization and Collaborative Intelligence in Teams’ (2018) (co-author: Otto Laske).